During the second decade of the 21st century, the Middle East has been characterised by multiple, interconnected crises. The seemingly endless wars in Syria and Yemen, the never-ending Israeli-Palestinian question, the rift between Qatar and the other Gulf countries (chiefly Saudi Arabia and the United Arab Emirates), political uncertainty in Lebanon and socio-political tensions continuously threatening to tear Iraq apart appear to also have a common denominator: Iran’s role in local politics and regional geopolitics. Over the last years, Teheran has strengthened its role in the region giving crucial support to President Bashar al-Assad’s war efforts, helping the Houthis in Yemen and providing support to Hezbollah in Lebanon and Hamas in the Gaza Strip (Anna Edgerton, Iran Sanctions Over Support for Hezbollah Pass U.S. House, Bloomberg, 25 October 2017; Kay Armin Serjoie, One Result of the Gaza Conflict: Iran and Hamas Are Back Together, Time, 19 August 2014). The objective of establishing a “Shia crescent” stretching from Central Asia to the Mediterranean Sea is at hand (Carlo Muñoz, Iran nears completion of “Shiite Crescent” across Middle East; land bridge to pose U.S. challenges, The Washington Times, 5 December 2017). signed by the Obama administration with the UK, France, Germany, Russia, China and Iran itself in order to make sure that Iran will not develop nuclear weapons in exchange for sanctions relief (Joint Comprehensive Plan of Action, U.S. Department of State; Roula Khalaf, Benjamin Netanyahu is bending Donald Trump’s ear on Iran, The Financial Times, 2 May 2018). However, it is probable that Trump’s decision will not prevent Teheran to gain leverage in Lebanon and Iraq where elections have been held on May 6 and May 12 respectively, although partial results in Iraq as counted on 14 May, with the surprise rise of nationalist cleric Moqtada al-Sadr, probably at odds with both Iran and U.S., could lead to a more complex situation (David Gardner, Trump and Netanyahu miss the real threats posed by Iran, Financial Times, 1 May 2018; Jane Arraf, “Ahead Of Iraq’s Elections, Muqtada Al-Sadr Reinvents Himself — Again“, 3 April 2018, NPR Parallels; Ahmed Aboulenein, “Firebrand cleric Sadr on course to win Iraq election”, 13 May 2018, Reuters). The geopolitical tensions between Iran on the one hand and Israel (D. Wainer, D. Abu-Nasr, H. Meyer, Israel Sees Iran War Looming as Mideast Tinderbox Awaits a Spark, Bloomberg, 3 May 2018), Saudi Arabia and Middle-Eastern allies and the United States on the other, together with the economic challenges that the Islamic Republic has to face, lead us to wonder about the regional role that Teheran will have in the medium-term future (i. e. 3 to 5 years). Answering this question is pivotal if we want to have an idea about the future of such an important region as the Middle East. For this strategic foresight and warning series focused on the future of Iran, notably as a regional player, we shall start analysing Iran’s history and political institutions and then we shall investigate Iran’s relations with leading regional and global powers. “Iran has a longer history than most countries” (Axworthy 2008). Indeed, Iran, or Persia, as the polity was called abroad up until the 20th century, has been home to great civilizations and empires. The Persian Empire, established by Cyrus the Great in the 6th century BC, stretched at its largest from India to the Mediterranean (R. Schmitt, Achaemenid Dynasty, Encyclopaedia Iranica). 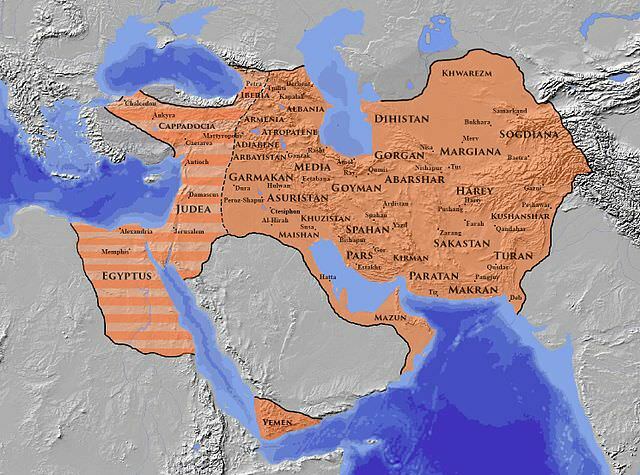 Later, the Parthians (whose Empire is considered as the heir of the Persians’ one) effectively blocked the eastward expansion of the Roman Empire, while the Sasanian Empire dominated Central Asia and the Middle East for 400 years, right before the Arab Conquest in 651 AD (A. Shapur Shahbazi, Sasanian Dynasty, Encyclopædia Iranica). This was a turning point in Iran’s history. The Persians/Iranians eventually managed to maintain their language and culture but their traditional religious credo, Zoroastrianism, was supplanted by Islam (History of Iran: Islamic Conquest; Iran Chamber Society). The consequences of this development are obviously felt to this very day as Iran is nowadays an Islamic Republic. After centuries of instability, the rise of the Safavid dynasty in the 15th century recreated a unified Iranian state (Shaabazi in V. S. Curtis and S. Stewart 2005: 108). These rulers effectively made Iran a Shia country (Foltz 2015: 74-76). 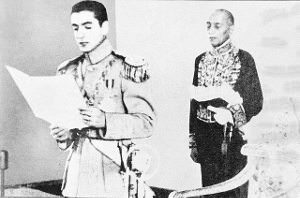 In 1925, after the fall of the Qajar dynasty, Iran’s constituent assembly gave power to Reza Pahlavi who became Shah, a title inherited from the Persian Empire tradition and signifying “king of kings” (Oktor Skaervø 2016: 149). The new ruler’s aim was to restore Iran’s past grandeur. Indeed, he wanted “to make the country strong, to develop it so that it could be truly independent, to modernise it so that it could deal with the great powers on an equal basis, to have a strong army to resist foreign interventions and to impose order internally so that, as in other modern countries, the state enjoyed sole control” (Axworthy 2008). To achieve these aims, he followed the example of Atatürk (Foltz 2015: 97), who succeeded in modernising and secularising post-Ottoman Turkey. Reza Shah effectively engaged in widespread state-building, involving the creation of extensive military and bureaucratic apparatuses (Abrahamian 2008: 65-71). Transport infrastructure was also greatly improved (Axworthy 2008). Reza Shah however did not fully succeed in freeing Iran from foreign influence. Oil, what would become the world’s most needed commodity, was now at the heart of the matter. 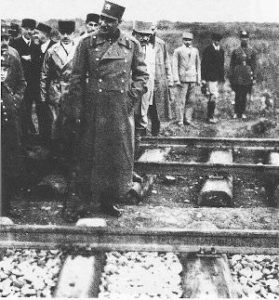 Reza Shah, in fact, “had to accept the continuation of British exploitation of oil in the south, on a basis that, despite yielding significant revenue to the Iranian government, in reality gave only a poor return in proportion to the real value of such an important national resource” (ibid.). In 1928 the Iranian government notified the Anglo-Persian Oil Company (now BP) that the oil concession had to be renegotiated as Iran was only getting 16 per cent of the profits (ibid.). The negotiations were painfully slow. As a consequence, the Shah, annoyed, unilaterally cancelled the concession in 1932. The British reacted by sending additional ships to the Persian Gulf and brought the case to the International Court of Justice in the Hague. Eventually, a deal was reached, granting Iran only a modest increase as Teheran’s share became 20 per cent of the profits (Ansar 2003: 56-9 in Axworthy 2008). As far as the opposition – composed of “the new intelligentsia — especially from young professionals who had been influenced by the left while studying in France and Germany during the turbulent early 1930s” – was concerned, this humble result, and the fact that the concession was extended up until 1993 “confirmed the suspicion that the shah, despite all his patriotic talk, was in fact beholden to London” (Abrahamian 2008: 96). Tensions between Iran and the Western powers interested in its oil resources, as well as perceptions of these tensions by various domestic actors, remain at the roots of Iran’s present foreign policy, including considering possible impacts on domestic politics (Ishaan Tharoor, The key moments in the long history of U.S.-Iran tensions, The Washington Post, 2 April 2015). Nevertheless, it was Britain that, together with the Soviet Union, forced the Shah to abdicate in 1941. He was to be replaced by his son, Mohammed Reza Pahlavi, who declared he would rule as a constitutional monarch (Axworthy 2008). Two factors are usually given to explain the British and Soviet action: Foltz (2015: 98) suggests that the two foreign powers were concerned by the Shah’s pro-German attitudes, while Axworthy (ibid.) thinks that the British and Soviet action was mainly driven by geostrategic considerations regarding oil routes. The 1953 coup and the bases for the Islamic Revolution. In the 1940s, economic hardships and the presence of the Allies in the country further fuelled nationalistic sentiments. The oil concessions conundrum emerged again (ibid.). Indeed, between 1932 and 1950, the British government’s revenues from the Iranian oil industry were nearly twice larger than those collected by Teheran (Ansari 2003: 110 in Axworthy 2008). In the meanwhile, the communist Tudeh party grew in popularity, particularly among the underclasses which was becoming more politicized (Foltz 2015: 100). This political environment paved the way for escalation. “In March 1951, after failing to reach an agreement with the Anglo-Iranian Oil Company (AIOC), the Iranian parliament voted to nationalize the oil industry” (ibid.). The newly appointed Prime Minister Mohammed Mossadeq created the National Iranian Oil Company (NIOC) and ordered it to take control of the AIOC’’s assets. Afterwards, as London “blocked the export of oil from Iran, and lodged a complaint with the United Nations”, Mossadeq appeared before the National Security Council, and, accusing Britain of subversion, broke diplomatic relations and closed down the latter’s consulates as well as embassy” (Abrahamian id. : 117). The British government froze Iran’s assets and dispatched military vessels to the Gulf. Tensions were also exacerbated by the widening rift between the prime minister and the Shah over the electoral system and the control of the army (Abrahamian id. : 117-118). 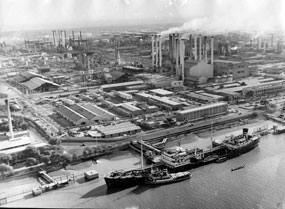 in Abadan the AIOC had the world’s largest refinery; the AIOC was the second largest exporter of crude petroleum and was attributed the third largest oil reserves (ibid.). The concessions over Iran’s oil reserves “provided the British Treasury with £24 million in taxes and £92 million in foreign exchange; supplied the British navy with 85 percent of its need in fuel and the AIOC with 75 percent of its annual profits” (ibid.). In Washington, the most pressing concern was that Teheran could become an example for other oil-producing countries such as Iraq, Venezuela and Indonesia, inspiring them in shifting the control over the oil business away from Western companies to national governments (Abrahamian id.:119). 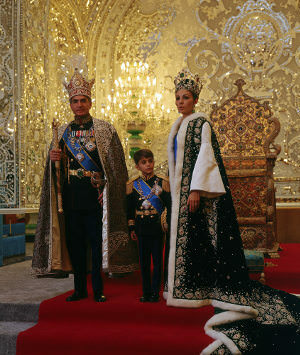 After the coup against Mossadeq, the Shah’s regime became increasingly authoritarian, especially in comparison with the pledges the ruler had made at the moment of his ascension to the throne. The CIA helped in establishing a secret police force called the SAVAK (Foltz id. : 102), which also received support from the FBI and the Israeli Mossad and had the power to “censor the media, screen applicants for government jobs, even university appointments, and use all means available, including torture and summary executions, to deal with political dissidents” (Abrahamian id. : 126). In the 1970s, Amnesty International would describe the Shah as “one of the worst violators of human rights in the world” (Abrahamian id. : 157). Meanwhile, the country was progressively “westernized”, as women, for example, were granted the right to vote in elections (Foltz id. : 102) . These developments, were not welcomed by many Iranians as these changes were representing “an unquestioning capitulation to Western superiority” (ibid.). 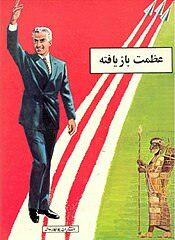 In 1963, moreover, the Shah launched the so-called White Revolution, which mainly consisted in a land reform and in the promotion of industry (Abrahamian id. : 131-133). Yet, the land that many peasants received was not large enough to sustain them, while some agricultural workers did not receive any land at all and, therefore, “the net result was rural unemployment and an accelerating movement of people from the villages to the cities, especially Tehran, in search of jobs” (Axworthy 2008). 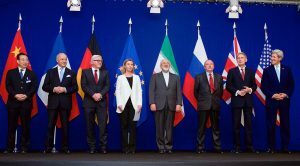 These very people would be the “battering rams” of the Islamic Revolution (Abrahamian id. : 156). During the 1960s and 1970s, the Shah “used state power and programs of modernization to attack the Shia clergy” (Skocpol 1982: 274). These developments and the modernization of the country prompted the reaction of the Ayatollah Khomeini, who began to preach against the Shah’s government because of “its corruption, its neglect of the poor, and its failure to uphold Iran’s sovereignty in its relationship with the US” (Axworthy 2008) and was consequently arrested. This sparked demonstrations that were crushed with violence, leaving hundreds of people dead (Foltz id. : 103). Khomeini was later sent into exile, which actually gave him the opportunity to speak freely against the Shah (Foltz id. : 102). Another move that caused outrage was “the Shah’s extension of diplomatic immunity to all Americans living in Iran”. Khomeini reacted saying that “If an Iranian runs over an American’s dog he will face prosecution . . . but if an American cook runs over the shah [himself], no one can do anything” (ibid.). The 1971 “astronomically expensive” celebrations for the 2500 years of the Iranian monarchy were also taken as a further sign of the Shah’s disregard for its own people by many Iranians (ibid.). These sentiments were exacerbated by the fact that by the 1970s, Iran had one of the world’s most unequal income distribution (International Labor Organization 1972: 6 in Abrahamian 141). 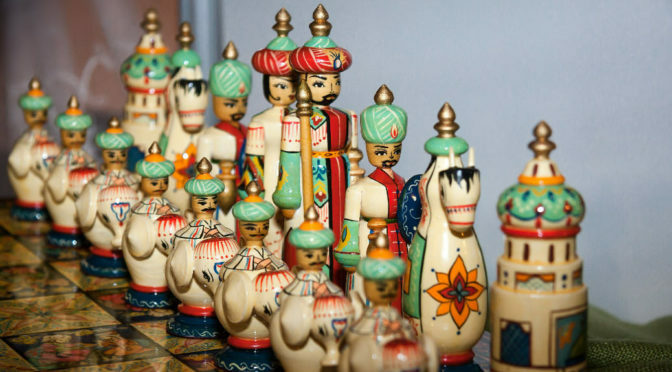 The Shah’s centralization policies also upset the bazaar, which was “the center of urban life”, and began to play “an indispensable role in mobilizing and sustaining the core of popular resistance” (Skocpol 1982: 271-272). In 1973, as a protest against Western support for Israel during the Yom Kippur war, the OPEC declared an embargo on oil sales to the West and therefore the oil price increased dramatically (Foltz 105). As a result, a lot of money was pumped into the Iranian economy: “the economy was overheating, there was too much money chasing too few goods, there were bottlenecks and shortages, and inflation rose sharply—especially on items like housing rent and foodstuffs, and especially in Tehran” (Axworthy 2008). Ordinary consumers were “hit hard by unchecked inflation” and farmers “were devastated by cheap imports of food staples such as wheat” (Foltz id. : 106). In 1977-78, oil revenues-driven inflation and the subsequent, disastrous deflationary measures that caused unemployment to increase led to numerous mass demonstrations (Axworthy 2008). An anti-Khomeini article published by a government-controlled newspaper contributed to make the situation worse (Abrahamian 158). The protests were repressed in blood, further exacerbating tensions and strengthening the resolution of the opposition to the Shah, who, eventually, was forced to flee the country on January 16, 1979 (Foltz id. : 108-109) while Khomeini returned to Iran on 1 February. The Islamic Republic of Iran was ready to be born. From this brief journey through Iran’s history until 1979 we can emphasize two main elements. The first concerns Iran’s long history and its legacy that fuels national pride and therefore Teheran’s foreign policy (Zia-Ebrahimi 2016). The second element that we have to keep in mind while analysing Iran’s foreign relations is a sense of grievance caused by foreign interferences that have characterized the country’s modern history. The conflicts with the Ottomans and the Russians will be analysed in greater detail in the next articles. Current relations with the West are shaped by the tensions caused by British-American attempts to control Iran’s oil reserves. The 1953 coup against Mossadeq “is remembered and referenced widely by Iranians, who point to it as a sign of the West’s meddling in Iranian affairs, motivated first and foremost by greed” (Tharoor ibid.). This sentiment has its paramount expression in “Occidentosis: a plague from the West” written by the intellectual Jala Al-I Ahmad published clandestinely in 1962. Finally we shall remember the tight connection between foreign policy and related perception of un-nationalism or subservience to foreign powers, opposition and capacity for political authorities to remain in power. In the next article, we shall dig deeper into the post-1979 history, trying to highlight further elements that can help us in understanding the regional role that Teheran will play in the medium-term future. Abrahamian, Ervand (2008) A History of Modern Iran, Cambridge: Cambridge University Press. Armin Serjole, K., “One Result of the Gaza Conflict: Iran and Hamas Are Back Together”, Time, August 19, 2014. Axworthy, Michael (2008) Iran: Empire of the Mind: a History from Zoroaster to the Present Day, London: Penguin Books. Edgerton, A., “Iran Sanctions Over Support for Hezbollah Pass U.S. House”, Bloomberg, October 25, 2017. Foltz, Richard (2015) Iran in World History, Oxford: Oxford University Press. Gardner, D,, Trump and Netanyahu miss the real threats posed by Iran, Financial Times, May 1, 2018. Khalaf, R., “Benjamin Netanyahu is bending Donald Trump’s ear on Iran”, Financial Times, May 2, 2018. Muñoz, C., “Iran nears completion of “Shiite Crescent” across Middle East; land bridge to pose U.S. challenges”, The Washington Times, December 5, 2017. Skocpol, T. “Rentier State and Shi’a Islam in the Iranian Revoution”, Theory and Society, Vol.11, No. 3 (May, 1982), 265-283. Tharoor, I., “The key moments in the long history of U.S.-Iran tensions”, The Washington Post, April 2, 2015. Zia-Ebrahimi, R. (2016) The Emergence of Iranian Nationalism, Columbia University Press.